The massive newsgathering operation that is All Things Digital is winding down for the holiday, as staffers head off to the comforts of home, family and friends. Here’s hoping all of you are headed in the same direction. News willing, the site will be quiet for Christmas, but back in action on Boxing Day. Until then, enjoy some festive downtime. 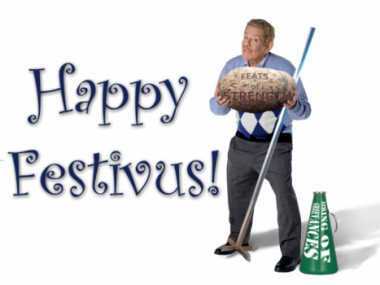 And we mean, of course, Festivus, the fantastic holiday created by George Costanza’s father on “Seinfeld,” which actually takes place on December 23 (but we are claiming it anyway).